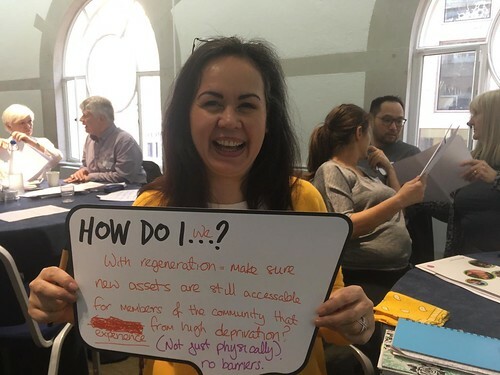 Local Trust - Empowered Communities? Why? Creating ‘empowered communities’ is a problematic term – in the end, it should be about making communities more powerful, writes researcher Angus McCabe. By Angus McCabe, Senior Research Fellow, Third Sector Research Centre, University of Birmingham and Empowered Communities in the 2020s steering group member. I have to confess that I am not quite sure why I am writing this blog, other than that I was asked to. But then isn’t that the classic way into activism, volunteering or actually doing anything, someone asked. Why am I so unsure? For one thing, I dislike the term ‘empowered’. It implies that I, or whoever has power, is willing to hand it over, and that the power transferred is in some way meaningful. Too often ‘empowerment’ can be a token gesture. Further, bitter experience says that this willing transfer rarely happens. Power has had to be grabbed and fought for, rather than being yielded willingly. But my concern is more than a matter of language and terminology. It is about the political realities of so-called empowerment. For all the talk of empowerment under New Labour, the accompanying investment in active citizenship and ‘capacity building’ (another terrible term) – did anything really change in terms of social inequalities? Some community groups may have become better bidders in the funding game, but I’d like to see evidence of fundamental change. Since 2010, ‘empowered communities’ feels as if it has become a short-hand for dealing with the cuts. Communities will take on and manage local services and assets as the state rolls back, whether or not they have the skills, resources or willingness to do so. Localism should shift power, or at least some decision making, from the centre to communities and neighbourhoods. But has it really? For those communities that ‘have not’, particularly in terms of financial rather than social capital, ‘resilience’ is on offer. Or, to put another way, sorry you got a bad deal, but if we make you more ‘resilient’ you will be better able to cope with even worse to come. And finally, what happens when groups in society do seize (or, mysteriously, are granted) power? History teaches us that, all too often, the old oppressed become the new oppressor – even at a micro-community level. Writing all this, and having spent most of my adult life working in and with communities, you might think I’m feeling depressed. Not a bit of it. What is being played out at the moment is a profound shift in the relationship between the individual, communities and the state. I don’t think any of us really know where this will end or where it will be in the 2020s. But times of flux do offer opportunities. What ‘empowered communities’ might look like in the coming decade are communities that not only have the capacity to speak truth to power, but also the ability to use that truth to build a more just society. It will be about knowing where real power lies and having the confidence and abilities to challenge those with power, whether it is the state, or, more often than not, the large multi-national corporations. So maybe my vision is not about ‘empowered’ communities but communities with power and, crucially, hope. It will be challenging. There will be conflict if power relations are to change. But at least there will be interesting times. Angus also works on the Our Bigger Story project, the multimedia evaluation of Big Local.